Can you eat anything you want without regret or shame? For years, I definitely couldn’t. 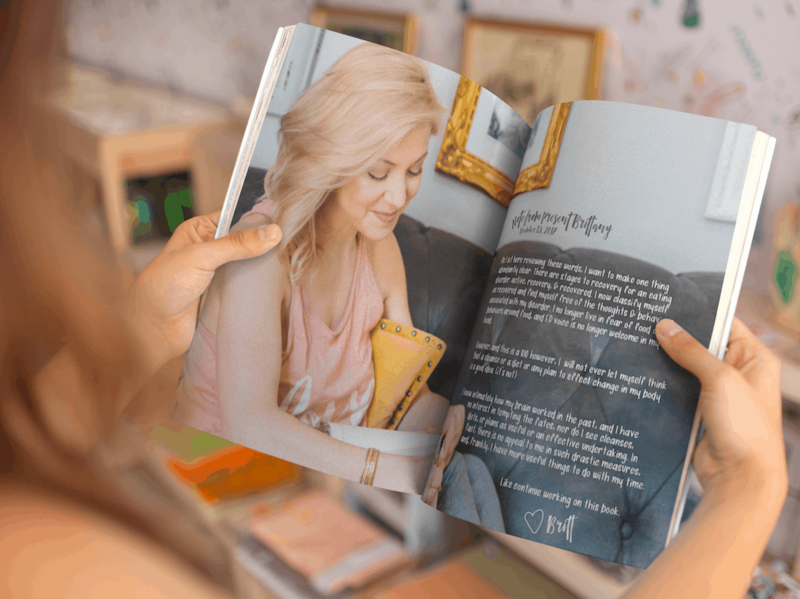 I wrote this book, Glowing Goddess Guru Beast Manifesto, to share my journey into true health and freedom around food and to inspire you to take your own journey. Glowing Goddess Guru Beast Manifesto is a must-read guidebook for ambitious women. Women, just like me and you, who have the potential to become so much more. Beyond the frustration with food and body there is peace. If you have ever felt confused or frustrated by food and simply just want to love the body you’re in, this book will guide you to understand it can be that simple; all you have to do is Start Where You Are. That first step will launch you into an exploration of self through yoga, food, and soul while breaking down the barriers we have learned to put up for ourselves through dieting and restriction to truly reach full potential as a Glowing Goddess Guru Beast. 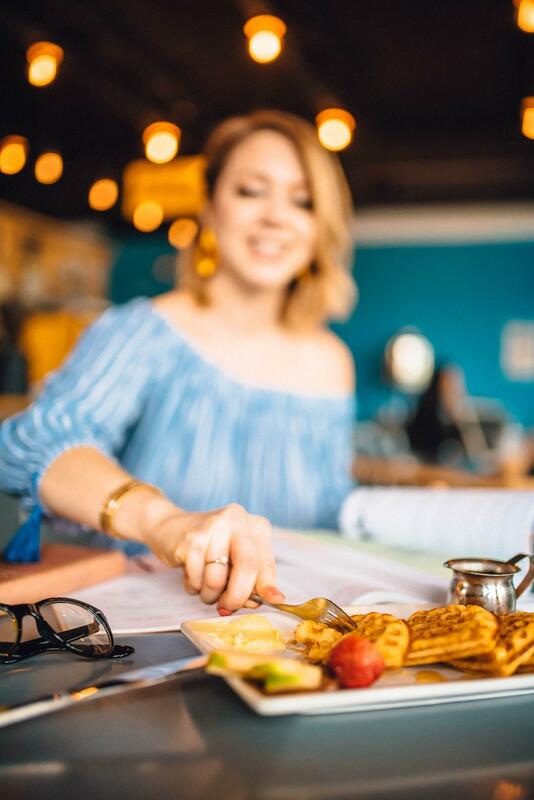 While it’s exciting that women are “leaning in” and stepping into a more body positive/intuitive eating way of being, here’s the bad news—it can become another way to try to control our lives, our bodies, and… forget what we’re REALLY doing with our lives. "Our lives are most certainly NOT about being perfect—not in food or body." I’ve made no secret of the fact that I struggled with an eating disorder in my health journey. It’s a central part of my experience and a fundamental why behind the work I do (and it plays a large role in the book, as well). An estimated eight million Americans live with an eating disorder (ED). One in 200 American women suffers from anorexia while 2-3 out of 10 American women suffer from bulimia. Nearly half of all Americans personally know someone with ED. These statistics were shockingly high to me the first time I encountered them. I’m not going to talk about the reasons why I think these statistics are so high nor am I going to criticize this trend. This mental disorder is very real, and for anyone suffering with it, the pain is acutely tangible, as is the guilt and shame associated on many levels. ED is prevalent because it is so nuanced. What begins as a whisper, a drive to be better or more “perfect” quickly evolves into an obsession. Whether or not you identify with an eating disorder, MOST women have combated the cyclical nature of dieting and over-exercising. 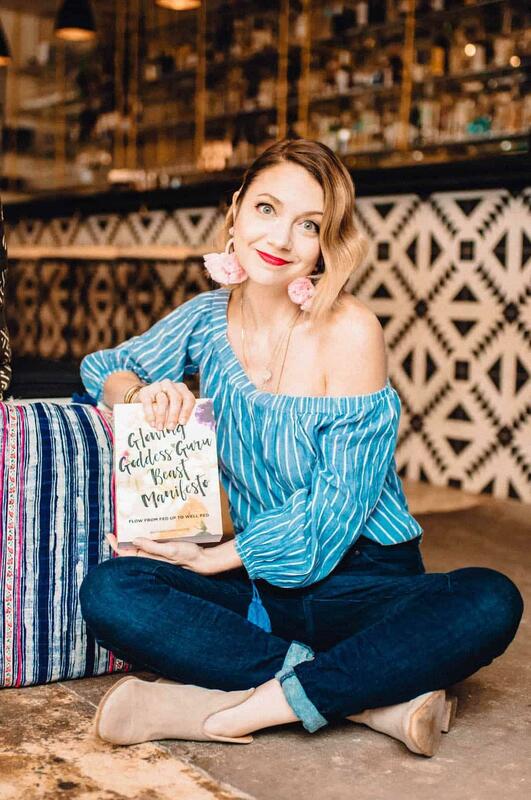 I wrote this book because I want to help women find happiness and reach full potential not just in their bodies and relationship to food but in the truth they have to share on this here planet, too. ✦ The 10 steps I use in my one-on-one work with women. I offer insight into my experience, client case studies, and workbook exercises. The format of the manifesto helps you to implement the tools presented into your own life. ✦ The framework that will help you move from Fed Up to Well Fed in your body, food, and life. I include tons of practical tools and philosophies to take with you into every single day. ✦ How to move past the voices of shame, the cycle of dieting, self-criticism, under- and over-exercising, and food confusion. ✦ Speaking of food confusion... I delve into topics like juicing vs. smoothies, organic vs. non-organic, going grain-free, gluten, soy, animal vs. dairy protein, fats, carbohydrates, and more—providing you with a well-rounded education and empowering you to make informed choices for yourself. ✦ How to ditch dieting and emotional eating. Hi, I’m Brittany, and I spent YEARS (literal YEARS) frustrated with food and my body. I hated my body. I hated food. I loved food. I wanted nothing more than to feel “normal” with food. I didn’t feel even a little bit normal with food. I didn’t want to punish my body with exercise anymore. I wanted to love my body. Trust my body. BE my body. I help women create peaceful relationships with food by combining emotional work with hard-science nutrition data. Through speaking, workshops, coaching, and now a book (hell yeah! ), I’m passionate about guide ambitious women to care for themselves in a way that creates more success. My specialty is helping women release shame and control and learn how to regulate their own bodies—by breaking ALL the rules and keeping happiness at the heart of healthfulness. I’m a 200-hour Yoga Alliance Registered Yoga Teacher with training based in the lineage and teachings of Krishnamacharya. I studied with groundbreaking pioneers in the field of nutrition at the Institute for Integrative Nutrition, which is accredited by Columbia University’s Teachers College and by the American Association of Drugless Practitioners.